Was Ronda Rousey's Love for Pro Wrestling Always True? Few have dominated the world of Mixed Martial Arts in the way that Ronda Rousey did and her transition to professional wrestling has looked like the obvious next step in her prolific career. However, her attitude towards Sports Entertainment was anything but full of respect as a series of tweets suggest her attitude towards pro wrestling was that it was "funny" compared to MMA. Rousey has become one of the biggest stars within the world of pro wrestling despite having just one match - but it was this debut that announced her to a fanbase that did not know what to expect. A series of cameos including armbars, table spots and stare-downs have portrayed the Olympic Bronze medalist in judo (2008) as a force to be reckoned with and it looks like her commitment to the squared circle will see her featured for years to come. However, before her contract with UFC was announced and Rousey was signed with Strikeforce in 2011, she took to social media to put down Pro Wrestling, a stark comparison compared to her attitude today. While no doubt she feels much more love affection now seven years later, it is strange to see Rousey's opinion change so starkly. 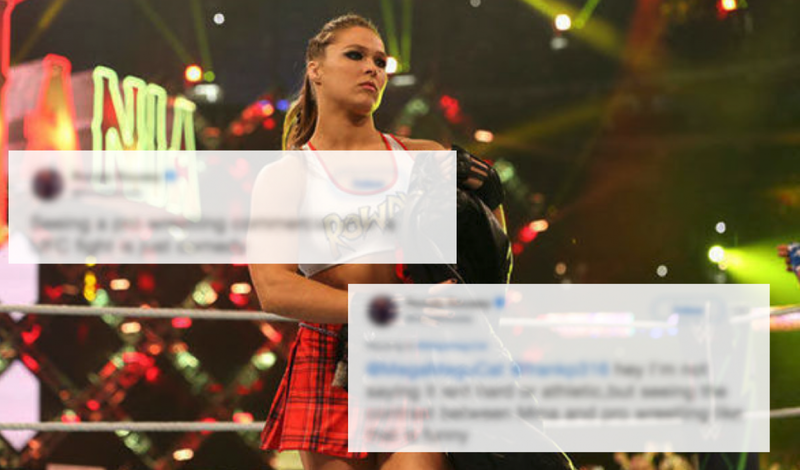 While Rousey has clearly developed a high level of affection for pro wrestling and the supportive environment she is currently embedded within, others have yet to develop a love for the squared circle. 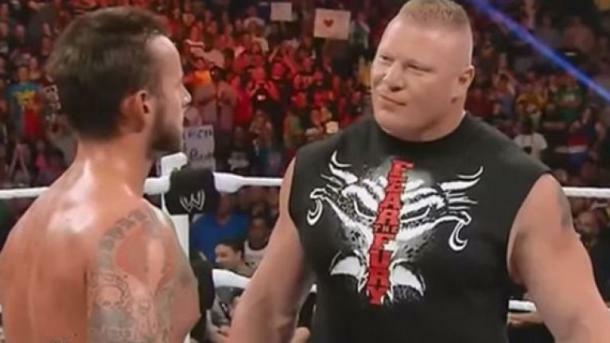 Despite forging careers and success within sports entertainment it is not all love for the WWE and other promotions. Goldberg: The former WCW and WWE Universal champion admitted on many occasions that he never truly enjoyed wrestling with his most recent return in 2016-17 the one where he found some form of enjoyment. Brock Lesnar: The 40-year-old has witnessed success not just within the world of pro wrestling as with a UFC World Heavyweight championship to his name, perhaps Lesnar's real desire comes from causing pain. Having tried his hand at American Football upon leaving WWE for the first time in 2004, the level of ambition in The Beast Incarnate was maybe unable to be fulfilled by a sport not classed as legitimate. CM Punk: There is no question that the current UFC signed athlete once had a deep sense of affection for professional wrestling but politics and an on-going legal case regarding an apparent misdiagnosis of an injury caused him to step away to pursue other interests.